Although Latin America was late in getting into the wildly-profitable coffee producing business, South American countries now produce most of the coffee consumed worldwide. The origins of coffee are legendary, but the craze spread from Africa and Arabia to Europe, the Far East, and then to the Americas. Requiring specialized climactic conditions to grow well and produce the most flavorful beans, the coffee plant takes on local characteristics due to soil, altitude, climate and other factors. There are two main types of beans: Arabica and Robusta. Arabica beans, which grow best in warm, humid climates between 4000 and 6000 ft (1212 to 1818 m), produce the wonderfully flavored and aromatic beans consumed around the world. Robusta beans are more "robust," resilient to climatic changes, and grow best at sea level and up to 2500 ft (757 m) high. These beans are grown mostly in West Africa and Southeast Asia and mostly used for instant coffee. There are varietals, of course. Colombia and Brazil are most noted for their coffee. Venezuela, Ecuador, and Peru produce smaller crops, mostly consumed in-country, but Peruvian coffee is increasingly exported. In a good year, Brazil produces about a third of the world's coffee, both Arabica and Robusto. Most of Brazil's coffee is drinkable, "everyday" coffee with the exception of some of the coffee in São Paulo state, where coffee was first introduced to Brazil. Bourbon Santos from beans culled during the first four years of growth is the highest quality. Flat bean Santos, culled after the fourth year, is of lesser quality. Colombia is known for full-bodied, flavorful coffee accounting for about twelve percent of the world's consumption. The qualities of the coffee beans vary by where they are grown in the country. Central cordilleras around Medellin, Armenia, and Manizales noted as MAM to the coffee world, with Medellin producing coffee with heavy body, rich flavor, and fine, balanced acidity. Bogota and Bucaramanga, in the eastern cordilleras, produce some of Colombia's best coffees with heavy body, low acidity, and rich flavor. The highest quality is labeled supremo. When blended with the next highest quality, extra, the coffee is called excelso. With marketing expertise like the Juan Valdez campaign from the National Federation of Coffee Growers of Colombia, Colombian coffee is known throughout the world. In the western part of the country, nearest Colombia, Cucuta, Merida, Trujillo, and Tachira are shipped through Maracaibo and thus known by that port name. Café Imperial is a prime example. Caracas is the name for the coffee from the coastal mountains shipped through La Guaira. Merida, Cucuta, and Tachira are the best-known, and the best quality coffee, no matter where produced, is called lavado fino. Making a niche for itself in the organic coffee market grown in the Apurimac River and elsewhere, Peru also produces mild, flavorful, and aromatic coffee in the Chanchamayo and Urubamba valleys. Most of Ecuador's sizable coffee production is consumed in-country, and is usually thin to medium body coffee with sharp acidity; however, there is a growing effort to market coffee abroad. 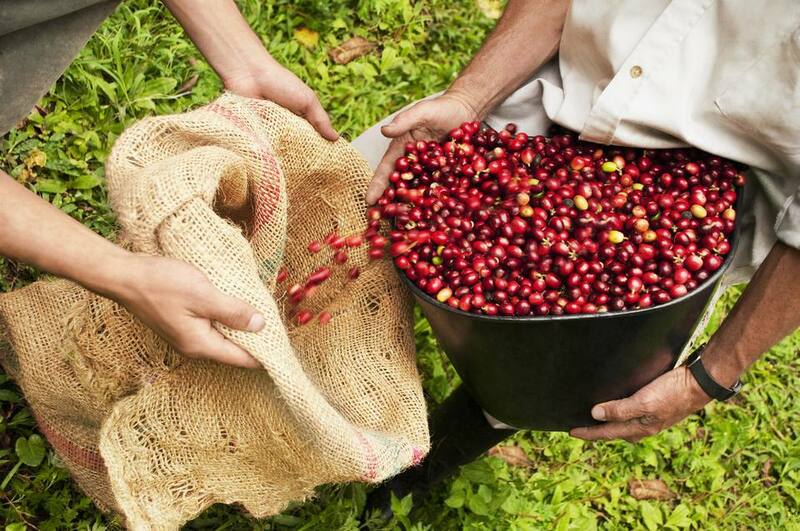 Next time you enjoy a cup of coffee, it might just have come from South America! Which South American Ruins Should You Visit That Are Not Inca?